This quote certainly applies to the phase of life we call retirement. One of my friends, who retired three year s ago, checked in with me recently to see how retirement is going. I told her I loved it, and she said she thought I would. “Every day is a new adventure,” she said, even though she is now in the midst of chemotherapy and radiation for newly diagnosed breast cancer. I am inspired by how well she is able to go with the flow of whatever life brings. Every day a new adventure, indeed. Retirement is a new platform, a new vantage point from which to view ourselves. An opportunity to launch ourselves on a new trajectory, one that integrates our life until this point and opens us to the possibilities of who we would still like to become and what will happen to us. So how does one go about this “project” of retirement? I began my retirement countdown two and a half years out — first counting the months, then at one year changing to weeks, and in the last month counting the days. There are retirement countdown apps online, or you can just keep track on paper. This was a great inspiration and comfort to me as I wound my way slowly toward the magic day of retirement. You can start your own countdown at any time (my hairdresser just started hers at five years out). Others don’t seem to need or want a countdown. There is, of course, the need to make retirement plans (particularly financial) before one can decide upon a retirement date. There are retirement calculators online and financial planners eager to help with this task. Also, along the way, it was interesting to note others’ reactions to my approaching retirement (though I was not going into “full retirement,” as I planned to keep my private psychotherapy practice). Friends were supportive, and colleagues at work had varied reactions: happy for me, sad I was leaving, and excited or anxious about their own upcoming or long distant retirements. As the time got closer, everyone wanted to know: What are you going to do? Any goals? I told them: Jammies and going with the flow. Many also wanted to know about plans for travel. Since I have traveled a lot already, I have no burning desire to travel more (except, of course, to visit my son in Oregon and my daughter in New York). Really, the only travel I am interested in now is inner travel. I was quite excited for day one, the first Monday in years I was not on the road to work at 7:30 a.m. There I was in my jammies at a very civilized 9:00 a.m., eating my Clif bar and ready to do what I, as a good Type A, had been longing to do for months: make a list of things to do. At last, “The List.” I made three columns of To Do’s: This Week, This Month, and Parking Lot. All set! Not on The List were all of the things “off the grid,” those activities that would fall into the category of “Play,” like meditation, yoga, going out with friends, going to the gym — all manners of having fun and taking time out. After I finished The List, I worked off of it till noon, then had lunch and took a nap for three hours! With The List in hand, my marching orders as it were, I began to incorporate it and the newly available 50-odd hours per week into a retirement lifestyle. This did not mean becoming a totally new person, magically changed from Type A to Type B. No way. Now past day one, I am still gradually relaxing into having all this free time to get things done, have fun, and continue down my spiritual path, a path I have been on the last 30 some years. This includes a daily meditation and yoga practice, yoga classes at Yoga Focus, Reiki healing as part of my psychotherapy practice, and participation at the Lighthouse Center, Inc. The Lighthouse Center is a center for spiritual development in Whitmore Lake, founded by Chetana Catherine Florida, and under the spiritual guidance of Jain Master Gurudev Shree Chitrabhanuji. I am involved there with many activities the center has to offer as well as teaching meditation classes and presiding, for now, over the Board of Directors. The mission of the center is for “inner peace and peace in the world, as we practice meditation and Ahinsa (non-violence),” which includes a commitment to a vegan lifestyle. Whether we are retired or not, we all have a need for structure (i.e., The List) and the need for lack of structure (Play). When some people think of retirement, they get uneasy or anxious about all the time they will have on their hands. Yes, it’s nice not to be in rush hour traffic every morning, but what to do with all that free time? We often get a glimpse of this when we’re on vacation and start to feel uneasy without a schedule. Some people then schedule up every free minute of vacation and come back home not refreshed or rejuvenated at all. The same can happen with retirement — staying so busy, or even busier than we were when we were working. One of my good friends warned me of this, insisting that I would be busier than ever. This may be especially true for all of us Type A’s. You know who you are: competitive, ambitious, highly organized, managing time down to the minute, perfectionistic (some would say “workaholic”), impatient, easily irritated, and stressed out when things don’t go your way. For Type A’s, I recommend building some play time into each day of retirement. I also recommend an occasional “Goof-Off Day,” during which not a single productive thing is done. I stumbled upon my first “Goof-Off Day” about three months into retirement; one day I just did not feel like doing anything, certainly not anything off The List. I ended up goofing off, reading, answering emails, doing some Reiki, seeing a patient, even doing a load of laundry (clearly not all goofing off, but then again, this was just my first attempt at it). Now, Type B people already have learned this lesson, the value of doing nothing. Type B’s are laid back, creative, and flexible, working steadily but not obsessively. They don’t mind waiting their turn in line and can sometimes seem to be procrastinating. They are less concerned than Type A’s about deadlines. For Type B’s, retirement may be easier to adapt to. On the other hand, they may worry about becoming too easy going or lazy, or not accomplishing anything. Also, in our breakneck culture, Type B’s might feel they aren’t keeping up with the pace, and when they retire, they may worry even more. Rat Race or Snail’s Pace? Our already fast paced culture just keeps getting faster. How much more can be crammed into every day? How many texts, emails, phone calls, and even face-to-face encounters can we handle along with all the work, outside interests and obligations, and tasks of maintaining our lifestyles? We all know about burnout and feeling overwhelmed. Retirement is sometimes seen as an oasis, a refuge from all this frenzy. But one can easily carry his or her habits of speed at all costs right on into retirement. Do we want to continue with a rat race or go in search of a snail’s pace? Or end up somewhere in-between? There are some cries in the wilderness about slowing down: downshifting, the Slow Movement, living simply. In fact, there is an American tradition of slowing down, beginning perhaps with Henry David Thoreau, in Walden. He proposed and lived out two principles: self-reliance and simplicity, both economic and spiritual, which he detailed in his two-year sojourn at Walden Pond. Downshifting is a strategy for moving toward a simpler life. Moving out of the rat race of obsessive materialism, perfectionism, and stress. Finding a balance between work and play. Slowing down the pace of life by becoming more conscious of one’s actions and choices. Choosing what is meaningful, breaking the work-and-spend cycle, decreasing wasteful spending and accumulation. Must we all strive to be King Midas? How important really is collecting more and more things? Do these things make us happy? No. Fast is busy, controlling, aggressive, hurried, analytical, stressed, superficial, impatient, active, quantity-over-quality. Slow is the opposite: calm, careful, receptive, still, intuitive, unhurried, patient, reflective, quality-over-quantity…. The Slow philosophy can be summed up in a single word: balance. Be fast when it makes sense to be fast, and be slow when slowness is called for. Seek to live at what musicians call the “tempo giusto” — the right speed. Decreasing the number of possessions, by, for example, clearing out the basement. Choosing quality more, quantity less: Do I need this book, this computer app, this new outfit, this hectic schedule? “Do what you want, when you want to.” “Just go with the flow,” they say. This is easy to say, hard to do. There is the illusion that once retired, with all the attendant pressures, deadlines, and expectations from the full time job gone, one can naturally just do whatever one wants to, whenever. Just like that. What I am discovering, however, is that a lifetime of internalized pressures, deadlines, and expectations do not so easily retire. Going with the flow takes a conscious effort to gradually let go of these Type A habits and cultural expectations. I consciously make a daily exercise of balancing work and play, working with The List and going Off the Grid. Do I want to get things done this morning, or do I want to laze about? What is going with the flow anyway? What is the right thing to do, at any given moment? You are because I am. Sometimes the right action is not at all clear. We get stuck, out of the flow. This is when a spiritual practice, such as meditation, prayer, contemplation comes in handy, helping us to find our way. As we each approach retirement, we may make plans for things we’d like to do, places we’d like to go. In western culture we are at once longing for retirement and afraid of it. Simone de Beauvoir put it this way: “Retirement may be looked upon either as a prolonged holiday or as a rejection, a being thrown on the scrap-heap.” We long for a “prolonged holiday” of enjoyment and ease, without the responsibilities, pressures, and expectations of work and adult life in general, yet we are afraid of no longer having the status or meaning that are associated with them. C. G. Jung offers another view: “The first half of life is devoted to forming a healthy ego, the second half is going inward and letting go of it.” We first form a healthy ego, which includes the responsibilities and achievements of adulthood, and then we allow ourselves to let all of that go — letting go of the ego as a transformation, an eventual preparation for death, the end of life. Regardless of one’s religious or spiritual beliefs, we do all travel a path of gradual dissolution of the ego, the person we have become, to the person we will be on our last day. This occurs physically, whether we want it to or not, but it also occurs emotionally, cognitively, and spiritually. In all these spheres we still have choices we can make: whether to work to maintain our physical health or become a couch potato, exercise our mind or let it drift, withdraw from others or keep up family and social connections, follow a spiritual path or not. So we can think of retirement as a new platform, a time in our lives to launch ourselves every day on a new adventure that will bring us sooner or later to going with the flow, and letting go. Dr. Nirmala Nancy Hanke is a practicing psychiatrist and psychotherapist, and she recently retired as medical director at Monroe Community Mental Health Authority. 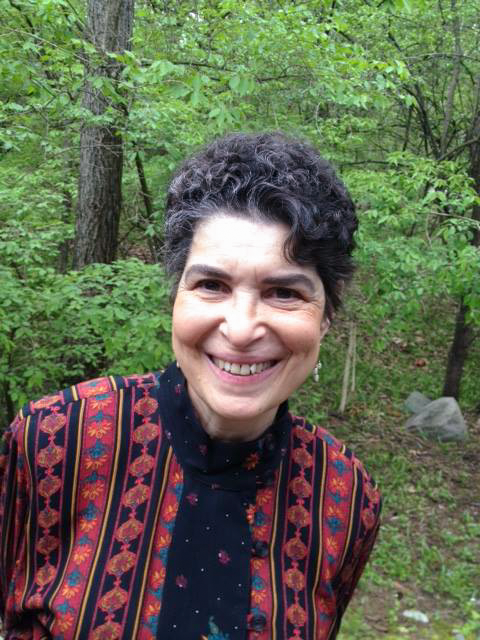 She has a private practice in Whitmore Lake for psychiatry, meditative psychotherapy, and Reiki healing. She has been meditating the last 30-odd years, first in the Zen tradition, and the last 20 years in the Jain mantra tradition. She teaches introductory and advanced meditation classes at the Lighthouse Center (where she is President of its Board of Directors) based upon Chitrabhanuji’s Jaina teachings, including The Psychology of Enlightenment: Meditations on the Seven Energy Centers. She can be reached at 734-645-2188; for more information on the Lighthouse Center, see lighthousecenterinc.org.